AmD Tuning are an official Carbon Clean Center. Carbon Clean’s specialist equipment has been designed to clean carbon deposits from within engines using Oxyhydrogen, and needs to run on nothing more than water and electricity. Not only do we offer Carbon Cleaning for your engine but we can also offer DPF Cleaning too! The Diesel Particulate Filter (DPF) can be a very costly item to replace, ranging from £800-£1800! 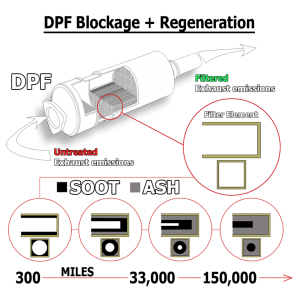 Vehicles fitted with DPF are designed to go through a regen cycle to clear out the filter automatically, but over time and mileage the DPF will gradually block up with soot and ash until a automatic regen isn’t possible. This will bring on a engine management light (EML) and cause the vehicle to go into limp mode (Reduced Power). DPF Cleaning is a very cost effective and quick way of getting your Vehicle back on the road and running like new! Contact us now on 01708 861827 for more information and bookings.